Academy Launches New Column on Continuous Improvement in Animal Welfare! 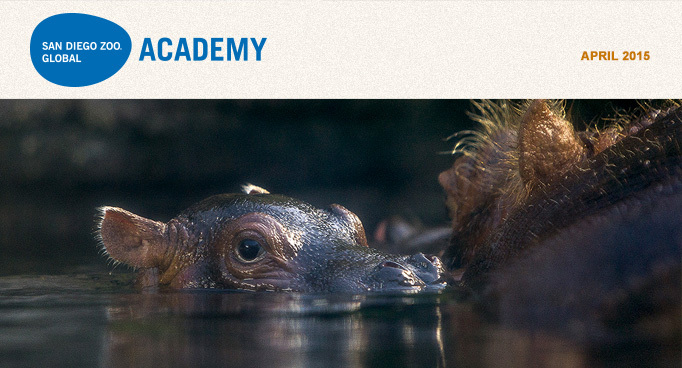 The San Diego Zoo Global Academy's course offerings provide an outstanding resource for zoological organization professional development and ongoing improvement. I am most grateful to be collaborating with the Academy in contributing this column containing best practices and ideas for continuous improvement in enhancing animal welfare above and beyond regulatory requirements and accreditation standards. These ideas derive from more than a quarter century of "lawyering from the heart" through serving the zoological community in transforming "back end" challenges into "front end" opportunities for fostering regulatory compliance, enhancing animal welfare and advancing organizational excellence. Here is this month's inaugural column. Animal welfare is the "master key" to the future sustainability of the zoological community. First, the well-being of the animals entrusted into our care is essential to maintaining the goodwill of the public, whose support is critical. 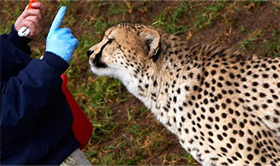 Second, demonstrating good animal welfare helps the zoological community maintain the moral authority necessary for a leadership role in the lofty mission areas of wildlife and habitat conservation, conservation and humane education, and research to further animal welfare and conservation. Third, and most importantly, championing the well-being of the animals in our care, and the wild, is simply the right thing to do. As Terry L. Maple and Bonnie M. Perdue write in Zoo Animal Welfare: "If we elevate its visibility and its priority, the welfare of zoo animals is bound to improve. The institutional mission statement must articulate and affirm core values that support animal care and welfare." So, name it. Animal welfare, that is. Make it an explicit part of your organization's mission, website, and being, as well as your personal daily commitment to the animals in your care. No doubt it is already an implicit part of your tireless efforts on behalf of animals. Let the world know that you understand that some people may have concerns about the well-being of animals in zoological settings and in the wild. You get it. You're on it—in many cases, dedicating your lives to the animals you love, respect, and care for daily. Your zoological organization, the zoological community, the public and the animals all will benefit. To join us for a special April 22, 2015 teleseminar in which USDA APHIS Animal Care's regional directors will answer Animal Welfare Act-related questions submitted in advance, register by email at: info@excellencebeyondcompliance.com. Please join us for the next Administrator's Users Group Webinar hosted by Academy partner, CypherWorx on Wednesday, April 15h at 11 a.m. PDT. The San Diego Zoo Global Academy Puts Blank Park Zoo In The Spotlight! The Blank Park Zoo has joined the Academy's collaborative learning environment with their two privately branded custom sites, one for their employees and one for their volunteers. Welcome! Thank You for Visiting the Academy at the AZA Mid-Year Conference! That was a very eventful and successful AZA Mid-Year Conference in Columbia, South Carolina. Thank you to all who made it happen. Academy partner, CypherWorx has a new Resource feature on the Academy platform. The learner can click to get the resource data in less time than it would have taken previously. Resources that you want to share with your community of learners can be uploaded in this feature, located in an online library that can be used for company policies and procedures, pre-read materials for meetings/training events, links for training videos, and other online content of your choice. Share the news! As administrators, we are always looking for ways to educate and remind our workforce about My Academy. We have written articles in our monthly employee newsletter. We share the electronic San Diego Zoo Global Academy newsletter with all employees who have a company email with us. Our Human Resources Manager, Steisha Ponczoch, created a newsletter called Tech Talk and highlighted some of the newer courses in My Academy. Managers and employees are encouraged to take classes online for personal development. Some departments require their employees to take certain courses throughout the year. These are various ways to bring employees back to the learning platform at different times. Volunteer Connection: Webinar "Volunteer Recognition on a Next-to-Nothing Budget"
A mere "thank you" is not enough, and when budgets are tight, how do we ensure volunteers feel appreciated and are recognized for their service? Investigate several cost-effective strategies for recognizing volunteers for service milestones or going the extra mile. Explore spontaneous recognition ideas that may provide a fun new surge of energy with your volunteers and throughout your organization. It doesn't have to cost a lot to be effective, heartwarming and/or fun. Be sure to review this informative webinar in your SDZG Academy catalog. In this course, participants will interpret OSHA's role and standards regarding electrical safety and hazards, define the basic fundamentals of electricity, identify and recognize safety hazards, describe protection methods against electrical hazards, and analyze case studies.